A loan of $5,000 helps helps us launch a new line of clean salad dressings by acquiring appropriate licensing, kitchen rental space, purchase of initial supplies and establishing marketing/branding. I was raised by a single mom who had her own business. Although it made her do a lot of traveling it also enabled her and I to spend quality time together when she wasn't traveling. My grandparents also had their own gift shop which they ran with my great-grandma. When my mom and my dad split, my mom and I moved to be closer to my grandparents. My mom went to work for them where she developed her own business. Even though they all worked ridiculously hard with long hours, there was a certain pride that I saw in my grandparents and mom for the work that they had done. Today, I am working full time for a large corporation. I do my own business on the side. I do love my job, but my goal is to do my own business full time and be able to pour all my energy into that. Having your own business is long hours and truly defines what hard work is, but I love it and want to pursue it more. 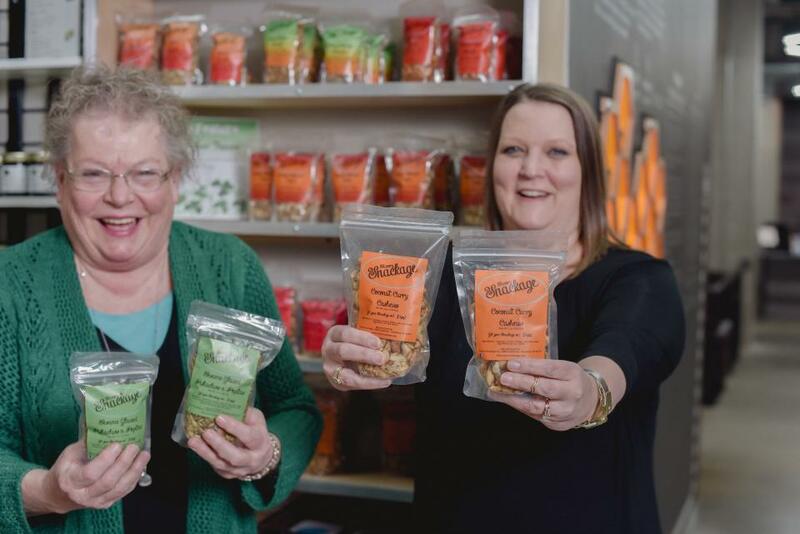 Savory Snackage is a mother-daughter business and was created because we love food. We decided to create this business after both having jobs in the food industry and came to love pairing foods with beverages for entertaining. At the moment we mostly sell at our local farmer's markets and have a small online presence, mostly from social media. In listening to our customers at farmer's markets, we have seen a need for a better produced salad dressing that is made like you would make it at home; with ingredients that you can pronounce and want to eat-- this does not exist. In order to get the process of the production underway, we are seeking an investment for the licensing, preventative controls training, as well the initial purchase of ingredients and production time. We create our products in a shared kitchen space, which is certified through the Department of Agriculture in our state, and oversees the proper production of food based businesses. This facility is also governed by any standards that the FDA enforces. This makes for a very expensive production cost with one (1) hour costing us any where from $18 to $28 depending on equipment used. The biggest challenge is that the initial production run of an item takes multiple hours longer than it will take us once we establish the proper production cycle. We are incredibly excited and proud of these dressings. From taking the time to listen to our customers and paying attention to the current offerings, we really see a need for this product. This is also giving us opportunities to partner with other food producers and farmers. We strive to have the best products that we can make to offer our customers that bring variety to any available options. My mom and I started Savory Snackage 4 years ago because we wanted more from our snacks. We came up with a line of gourmet nut mixes with flavors different from what you find on the regular store shelves. We always love to hear how people use our products for uses other than snacking because we do the same thing and use them in and on other foods, especially on salads. However, we realized that there are no locally made salad dressings at any of our farmer's markets. We saw a need for salad dressings, but just not any salad dressings. Better oils that are created from non-GMO sources and minimally processed ingredients. We want to use only honey as a sweetener-- no refined sugars. Our goal is to use natural thickeners that enhance flavor and also make a nice dressing that doesn't fall to the bottom of your salad bow. This loan with assist with acquiring a letter from a certified food scientist, who evaluates your product to make sure that it follows the proper procedures in order to ensure it can be consumed safely by our customers. We also have to take a few classes on preventative controls and better processing controls, as well as a class on safe handling and storage of food items. Initial Costs of licensing, training will cost us: 1- Better Process Control School: $400 2- Preventative Controls Training: $595 3- Process Authority (per item is $150, we expect to start with 4): $600 4- ServSafe (food handling safety): $175 5- Canning License: $200. Therefore, the initial cost before we even start production is $1970. The remaining $3030 will be used for purchasing ingredients and packaging. We expect the addition of this line of salad dressings to a least double our current revenue. This foreseen impact is due to the current void in the market. Disbursed date: Disbursed after fully funded on Kiva. You must be a lender to comment on this loan. We have started our journey. Developing 2 new salad dressings, Tahini Ginger and Peach Poppyseed. Oh my, we are SO incredibly excited that we just can't stand it! Wow! Our loan is currently being matched by the Diller-von Furstenberg Family Foundation. Every dollar lent will be matched! I'm so excited for this opportunity! Thank you, thank you for all the support. Please continue to share within your circle. Only 3 more days to bring this across the finish line! This borrower’s loan is for USD 5,000.00. Repayments on this loan will be made in monthly installments of USD 208.33 over a period of 24 months. After the funds are disbursed, the borrower will have the standard 1 month before the first payment is due, and may have an additional grace period per the terms outlined in their loan agreement. The detailed repayment schedule will be published here at the time that the funds for this loan are disbursed. Disbursement and repayments will be made via PayPal, a web-based payment system. Repayments made on delinquent loans will be applied toward the oldest payment due until the loan becomes current.